As you prepare to occupy a new house, there are several important tasks you have to do. One of them is to clear any debris that could have been left by the builder. Dealing with this waste is not easy as you require special equipment to collect and dispose it of. Thankfully, you can now hire Green Light Skip Hire for your void property clearance project. We have been in the waste management industry for several decades now. 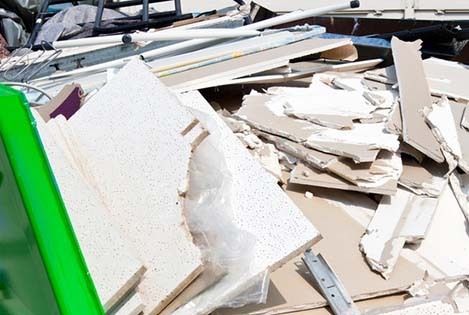 Therefore we have the required experience and expertise to handle your waste. Our waste management experts will clean your property quickly and effectively to ensure that you are not delayed in any way. Apart from cleaning your property, we will also help you to transport the waste to a recycling centre. We have a large fleet of skip vehicles that you can hire for your waste. These skips come in a variety of sizes and designs in order to suit different customer needs. We therefore guarantee you a successful waste disposal process irrespective of the size of your project. It is also important to note that our void property clearance services are available to everyone. Whether you want to clean a new office, home or factory, we are committed to helping you handle the project professionally. You will be provided with a team of highly experienced waste management experts who have handled similar tasks for many years. These experts will sit down with you and discuss the project. This will give you a chance to make your wishes known. Our experts will study the project and devise the best way to handle it. This means that you will have peace of mind knowing that you will have the best results. We use waste disposal methods that are consistent with the existing environmental conservation legislations. We always strive to be part of the solution to the existing environmental problems. We also have stringent policies that govern how each waste management project should be handled. We expect every member of our team to follow these policies and ensure that their activities do not pose any risk to the environment.